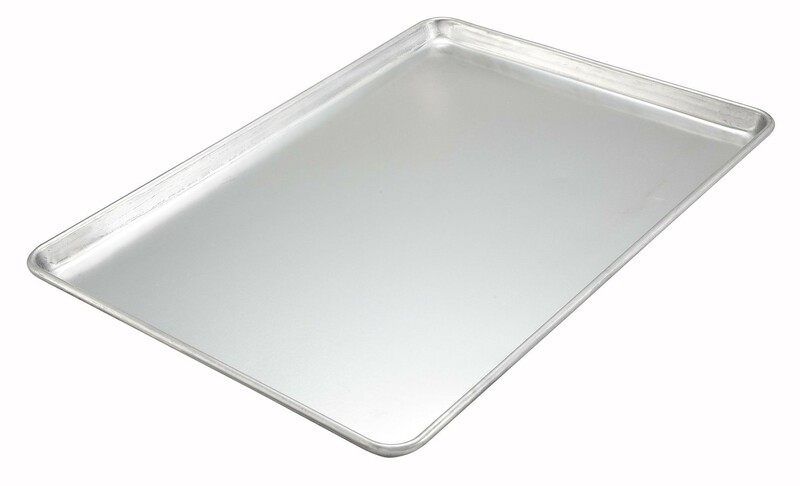 LionsDeal > Bakeware > Baking Pans >< Sheet Pans > Winco ALXP-2618H Full-Size Aluminum Sheet Pan, 18" x 26"
Winco ALXP-2618H Full-Size Aluminum Sheet Pan, 18" x 26"
Get great-looking, great-tasting baked goods with the Full-Size 16-Gauge Aluminum Sheet Pan, 18" x 26". Made of tough, non-corrosive aluminum, this full-size baking sheet pan distributes heat evenly, so your sheet cakes, cookies, biscuits and buns will bake uniformly. The pan has earned NSF approval, and it will retain its original shape and dull sheen over time.